Suresh Krissna has directed superstar Rajnikanth in huge hits like Annamalai and Baasha, as well as Veera. The director has encapsulated his memories of making these films in the book My Days With Baasha, which he has authored along with Malathi Rangarajan, a senior journalist with The Hindu. 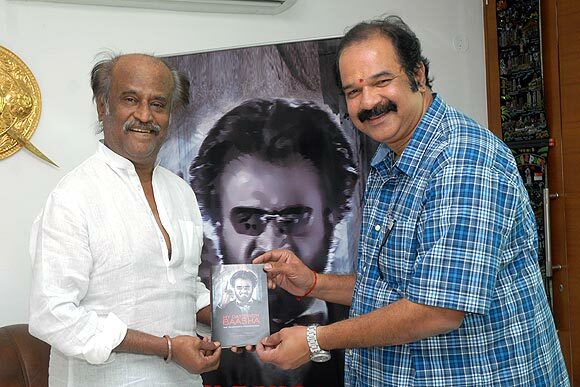 The book will be released on December 12 and Krissna hopes to present it to Rajnikanth as a birthday gift. What made you think of writing a book on these three films of Rajnikanth, Annamalai, Veera and Baasha? It has been 20 years since Annamalai was released, on June 1992. Baasha was released in January 1995. Even today, these two films are talked about by everyone, not only in Tamil Nadu but everywhere else, as Rajnikanth's best films. Over the past 10 years, in all the major interviews I have given, I have been asked questions relating to Annamalai and Baasha. 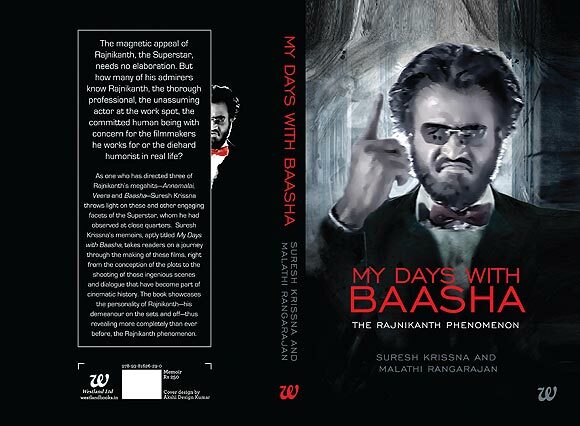 With so much demand and interest in the films, and with so many films made with screenplays like Baasha, I thought why not compile everything and make a book. What was Rajinikanth's reaction when you told him about such a work? I spoke to him about my idea for the book during the making of my film Illangyan, written by the then chief minister Karunanidhi. He was very excited and told me to go ahead and wished me luck. Has Rajinikanth seen the final product? If so, what was his reaction? He saw the cover design and was thrilled. I plan to give him the book on his birthday as a birthday present. How did you structure the book? Was it film by film? Yes, I went film by film, action by action, song by song, how the script was made, what happened during the shoot and then during the final stages. Had you taken notes or was it all based on memory? No, there were notes at all. Films like Annamalai and Baasha cannot be forgotten. With me talking about it repeatedly in all my interviews, my memory was refreshed all the time. Did you also speak to others who were involved in the making of these films? No, I did not speak to anyone. Maybe for some factual details, that's all. The whole book is from my point of view, a director's point of view. The making of the films, highlighting many aspects of a film, and of course even the contribution of technicians and actors to the success of those films. To all those who have watched Annamalai and Baasha umpteen times, this book will bring great joy. To know how those scenes were conceived and executed will be fun. Also, not many know how Rajni involves himself in the project, the way he approaches a scene, his behind-the-scenes humour. I have written the book in first person so it will be like a live telecast. What is the format of the book? Are there some anecdotes, quotes etc? Yes, the book is full of anecdotes and quotes. It will read like a nice novel. Did you write it in three languages -- English, Tamil and Telugu-- to reach out to a wider audience? Actually, it was planned only in English first. Later, we thought we would do it in other languages. Once the English version was over, the idea to come up with three versions together seemed a better plan. Hence, we worked towards it and now having read all the three, I am satisfied. You collaborated with senior journalist Malathi Rangarajan. How and why did you think of associating with her? Malathi Rangarajan is a very fine critic and I always used to appreciate her reviews. Her language is brilliant. She had interviewed me once and I liked the way she put all the points in such fluid language. And also, she lives in the same street where I live. What did you have to keep in mind while writing the book? I just wanted to share my experiences with all moviegoers. It is two decades since the films were released so I thought it would be getting an insight into the making of those films, and to view them again now, would be fun.